Washington D.C: Childish Gambino made history at this year’s Grammy Awards as he took home one of the Recording Academy’s biggest awards, record of the year for his song This is America. He is the first rapper to win the honour. His 2018 song This is America also won in song of the year category. 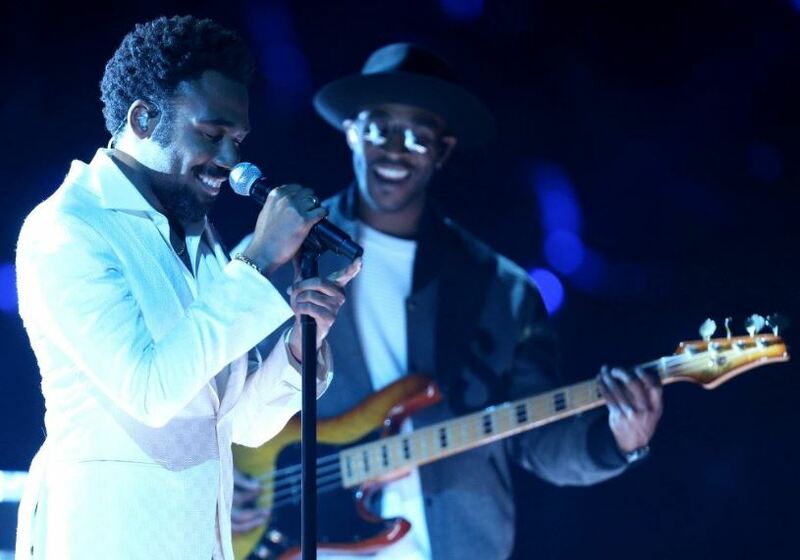 The 35-year-old musician beat out nominees including Cardi B, Bad Bunny and J Balvin for ‘I Like It’; Brandi Carlile for ‘The Joke’; Drake for ‘God’s Plan’; Lady Gaga and Bradley Cooper for ‘Shallow’; Kendrick Lamar and SZA for ‘All the Stars’; Post Malone featuring 21 Savage for ‘Rockstar’ and Zedd, Maren Morris and Grey for ‘The Middle’. According to the Grammys, record of the year category honours the artists, producers and engineers who contributed in recording of a song, while song of the year recognises the composition and songwriters. The song of the year category was less hip-hop centric, where Gambino won big. Other nominees in the category were Kendrick Lamar and SZA’s ‘All The Stars’, Ella Mai’s ‘Boo’d Up’, Drake’s ‘God’s Plan’, Shawn Mendes’ ‘In My Blood’, Brandi Carlile’s ‘The Joke’, Zedd, Maren Morris and Grey’s ‘The Middle’ and Lady Gaga and Bradley Cooper’s ‘Shallow’. Gambino also received a Grammy in video of the year category for ‘This Is America’.